Welcome to Tufts Dining, where great food brings the campus together! We believe in providing options to nourish every student throughout their four years, and Tufts is proud to be known for our delicious food. We hope you'll have a Taste of Tufts while you're here! Our menus focus on a wide variety of flavorful, healthy entrees, sides, snacks, and desserts, including vegetarian, vegan, kosher, nut-free, and gluten-free options. Our food is made fresh on site daily and served by kind employees who care about your dining experience. To view the full Tufts Dining website, click here. Carmichael and Dewick-MacPhie are the two main campus dining centers. 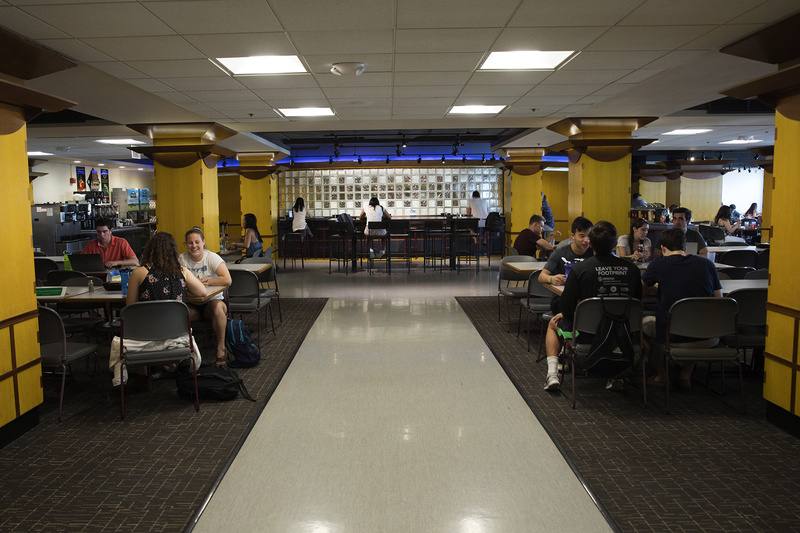 Students can eat at either dining center multiple times a day seven days a week. 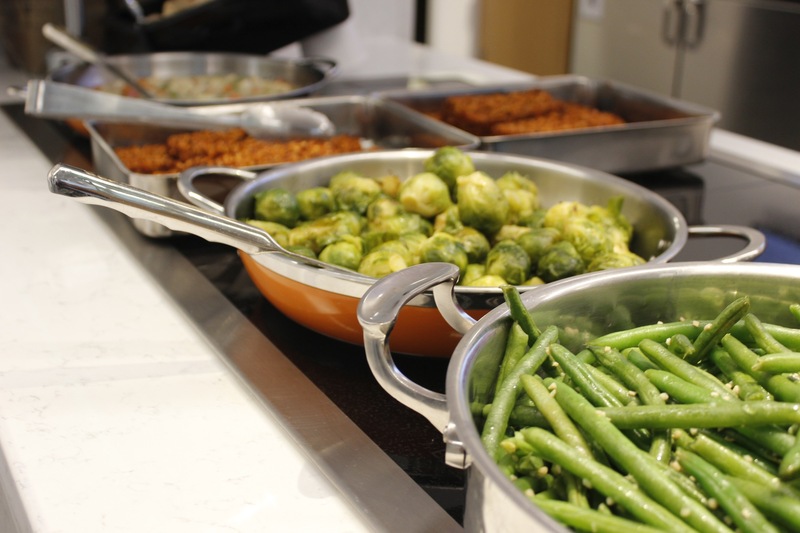 Each dining center has its own welcoming atmosphere, friendly staff, and a variety of menu items all day long. Located uphill, Carmichael is all about flavor and choice—all the time. We think you’ll love Carmichael’s friendly, intimate atmosphere and pleasing variety. “Create your own” stir-fry nights. Hearty salads. Comfort foods like mac and cheese and chicken pot pie. Delicious vegetarian entrees. A homemade soup and freshly baked bread station. Hamburgers and veggie burgers with all the toppings. And much more. 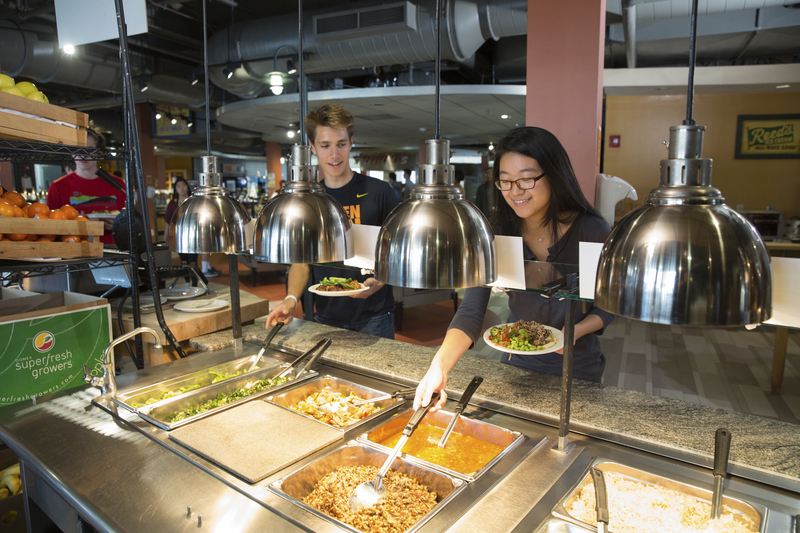 It's the place to be for uphill dining, and one of two main places to use your meal plan. Carmichael makes hand-tossed pizzas on our own homemade dough, has Pho Night once a week, and serves up delectable desserts baked daily in our own bake shop. And don’t forget about our soft-serve ice cream, frozen yogurt, or Sundae Sundays. Dewick serves a great variety of delicious food made from scratch and always fresh. With a large and open serving area, abundant seating, and flavorful food prepared on the spot, Dewick is a favorite destination—and our main downhill location where you can eat with your meal plan. At Dewick, you’ll find ten food stations in a marketplace style, cheerful staff, and something for everyone’s tastes including a vast salad bar with baby spinach, crisp greens, colorful veggies, cheese, tofu, crunchy toppings, and tasty dressings; the largest selection of vegetarian and vegan food on campus; handmade pizzas; and a variety of pastas. Kindlevan Café, Hotung Café, Tower Café, and Commons Marketplace are frequent student, staff, and faculty destinations. The cafes serve freshly-brewed espresso drinks sourced from local Sun Coffee Roasters, Starbucks, and Seattle’s. 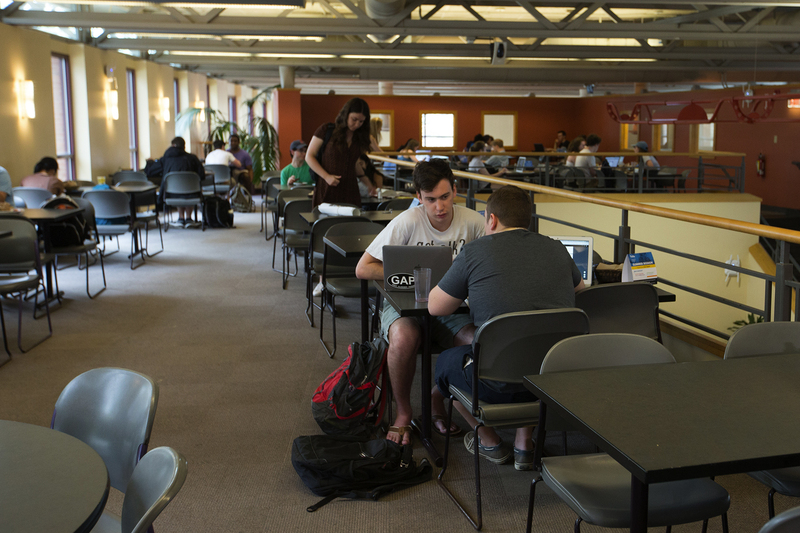 Located in the Campus Center, The Rez is an entirely student-run café serving Equal Exchange coffee, espresso drinks, and famous muffins. 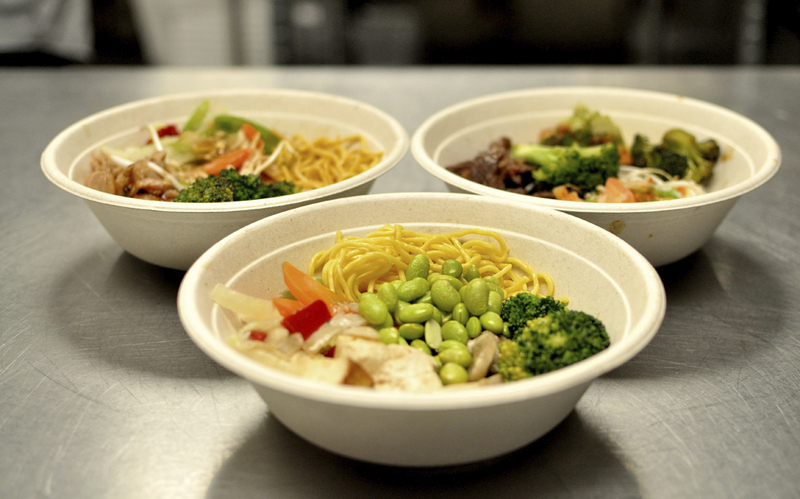 Students on meal plans can use the meals plan swipe for a take-out meal or sandwich from Hodgdon Food-on-the-Run or Pax et Lax Glatt Kosher Deli during the week. Both are popular with many flavorful choices for food made fresh and to take out. Whether you are hoping for a corned beef on rye, a burrito made to order, or sushi, you can order and pick up food to go at many locations on campus. 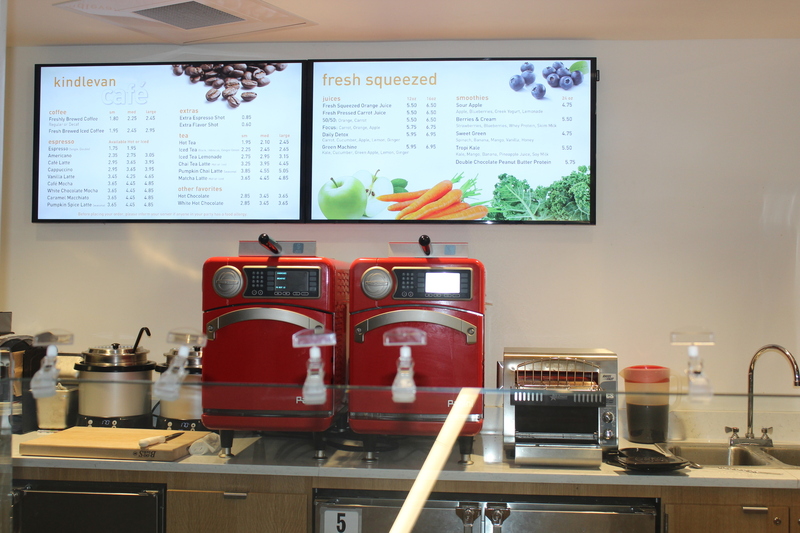 Both dining centers accept cash, credit cards (Visa, Mastercard, and Discover), and Tufts JumboCash. Tufts offers a special rate for prospective students and their families hoping to sample the offerings at Carmichael or Dewick-MacPhie. When you visit, ask the undergraduate admissions office for a meal ticket, and remember to present it when you enter either dining hall.